Hear Vaults' latest released track Overcome, available for free download on their website. 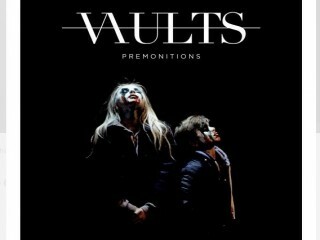 Vaults are releasing a new material, and recently they shared a new track titled Overcome. The song follows the Premonitions track, which is being highly appreciated. On top of that the band is set to play an intimate gig in London, at Red Gallery on October 8th and are giving free tickets when you download(also for free) the single from their website. Check out the emotional single in here.